Godolphin's Spring term ended with our annual Confirmation service in the Cathedral. 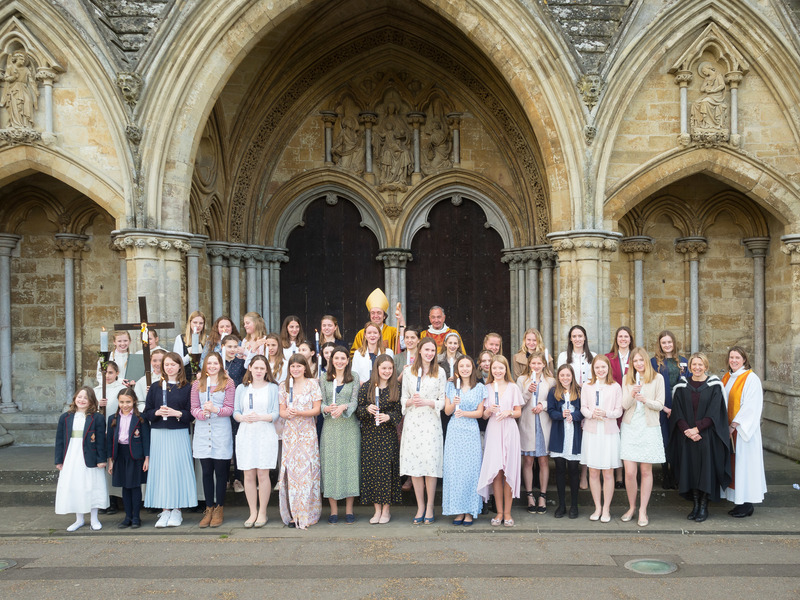 29 girls from First Year to Upper Sixth were confirmed, and two girls from Godolphin Prep were admitted to taking Communion, in what was one of our largest ever groups. The service was the first Confirmation service for the Bishop leading it, Bishop Andrew of Ramsbury and we were delighted to be part of what was a memorable and joyous service for him and for us. The Bishop had joined us for the start of our 6 1/2 mile Confirmation pilgrimage on the previous Monday. Bathed in warm spring sunshine throughout, I think most of us will remember the sheer beauty of walking along the River Avon towards the Cathedral for a long time to come. Photographs from our Confirmation can be found here.